What emerges from correlating and connecting the various fronts of the LTTE, how they have formed and who controls and runs them it is clear and shocking to acknowledge how Tamils would set up a cozy network for themselves and their families overseas and brainwash innocent Tamil youth to take up arms while ordinary Tamils end up providing the funding for a make-believe Eelam that they had been sold. The LTTE and its ground force may have created the terror but the means to carry out the terror was enabled by these foreign-based LTTE fronts and their crimes need to now be held accountable and should not be omitted for accountability by the UNHRC Investigation Team. India was the first to proscribe LTTE after it assassinated Rajiv Gandhi in 1992. US was the 1st Western Government to designate LTTE as a Foreign Terrorist Organization on 8 Oct 1997, then on 2 Nov 2001, US named LTTE as a Specially Designated Global Terrorist (SDGT). UK banned LTTE in 2000. Canada proscribed LTTE in 2006. That the LTTE had a group of people to steer it from overseas is evident from the manner it knew to manipulate the charity/NGO set up to its advantage as far back as in the 1980s. Though the TRO emerged as the humanitarian/charity face of the LTTE in 1985. Another unknown entity known as MUST – Medical Unit Service of Tamils was formed earlier comprising PLOTE, EPRLF, TELO and EROS. MUST was said to be the brainchild of Douglas Devananda the leader of the EPDP. TRO was formed so that then Chief Minister M G R Ramachandran could send state funding to the Tamil militant groups. TRO thus was registered as a charity under the Tamil Nadu Cooperative Law to address and enable LTTE to receive Rs.30m and Rs.10m to the other Tamil militant groups in state funding. TRO relocated to Jaffna after the Indo-Lanka Accord in 1987. Dr. Jeyarajan Maheswaran alias Jay Maheswaran, the International Coordinator for the Tamil Rehabilitation Organization participated in the GOSL-LTTE peace talks in 2002-2003 as a member of the LTTE delegation. Dr. Maheswaran was also the LTTE’s Economic Advisor during World Bank & ADB discussions in 2005.
a Special Canadian Senate Committee had identified TRO as a group raising money for guns and materials used by the Tamil Tigers. 13 June 2008 – Canada proscribed World Tamil Movement under Anti-Terrorism Act of Canada. The Office of the Superintendent of Financial Institutions advised banks and insurance companies to notify the Royal Canadian Mounted Police or Canadian Security Intelligence Service on accounts linked to the WTM. RCMP’s document on WTM as ‘the Canadian arm of the LTTE’. An ‘operational manual’ dated 28 July 2003 from LTTE leader Prabakaran to WTM gives instructions on raising funds for the LTTE and indoctrinating the youth. TRO Australia has been functioning for over 10 years and Australian Tamils of Sri Lankan origin have been generously contributing to the TRO fund. Most of these contributions come from respected professionals. TRO has no declared how monies collected in Australia are sent to Sri Lanka despite allegations that funds from Australian Tamils end up with the LTTE. Nagarajah Narednran an Australian citizen is a director of ITRO and involved in TRO work in Australia. A letter by Nagarajah Narendran in 1995 to the Sri Lanka High Commissioner in Australia clarifies that “ITRO London is the representative body of the TRO overseas branches”. 2005 – Mr John Paul Murphy, Labour Party Member of Parliament for the Lowe electorate, who represents a constituency in Sydney with a sizeable concentration of voters of Sri Lankan Tamil origin had asked why the Australian Government does not fund TRO. In reply Mr Downer, Australian Foreign Minister said that the Australian Government has not funded TRO’s development program because of its association with the LTTE. 2005 – Pro-LTTE organisation, Australasian Federation of Tamil Associations has written to Parliamentarians with requests for direct assistance to the TRO. TRO functions in Australia as a company limited by guarantee and has been registered as such with the Australian Securities and Investments Commission. Tamils Rehabilitation Organisation (Australia) Limited. TRO is also registered under the same company name as a charity in New South Wales under provisions of the Charitable Fundraising Act, 1991. The earliest action against an LTTE front organization was taken in theU.K., when in October 2000 (even before the LTTE was eventually proscribed in the UK in February 2001), an investigation was launched into the activities of the TRO in UK, and the organization was subsequently removed from the register of charities by the UK Charity Commission on 10 August 2005. The TRO was the subject of a UK Charity Commission Inquiry from 2000 to 2005, after the commission received allegations that the charity was supporting terrorist activity by transferring funds to Sri Lanka in support of LTTE. White Pigeon also was investigated as it had regularly transferred funds to the World Tamil Relief Fund bank account in the Bumiputhra Commerce Bank in Kuala Lumpur from which military hardware was purchased for the LTTE. The TRO-ITRO link is clearly established with Dr. Sathyamoorthy functioning as Chairman TRO (UK)/trustee and Director of ITRO. The TRO is said to have admitted to British authorities that since 1995 it has sent approximately 2.5mpounds tax free (of the 3m pounds raised) from UK to the LTTE via the TRO disguised as “rehabilitation work”. 15 November 2007, using Executive Order 13224 the U.S. Government designated the Tamils Rehabilitation Organization (TRO) as a terrorist entity and froze the assets of the TRO in the US. It is now listed in the SDN list of the US Office of Foreign Assets Control (OFAC) under the US Department of Treasury. TRO’s IRS Form 990 reported that the group raised over $1.6 million in 2006. TRO was in fact acting as a front to facilitate funding to support LTTE, it purchased munitions, equipment, communication devices and other technology for the LTTE. These satisfactorily ties TRO to engagement in terrorism, material support to a designated terrorist entity and aiding and abetting terrorism. All those associated with TRO holding positions/office and supporting it stand accused of material support and should be charged. The Sri Lankan External Affairs ministry must use the US Supreme Court ruling on ‘material support’ to tie all LTTE fronts. Starting in 2001, the FBI developed a comprehensive understanding of how the LTTE earned money from human smuggling. Vijayshanthar Patpanathan alias Chandru was in charge of LTTE fundraising. The deputy head of the LTTE in the US, Chandru was also in charge of the revenue for the Tamil Rehabilitation Organisation (TRO), the main LTTE front for raising and moving funds for procurement and other illegal activities. US proscribes TRO after investigating it for activities that covered money laundering to purchase arms & equipment & bribing state department officials to remove LTTE from the list of foreign terrorist organizations & to purchase classified intelligence concerning the LTTE & influencing US congressman. International Leader of the Tamil Rehabilitation Organization (TRO), Dr. Murugan Vinayagamurthi and his wife were taken in to custody in the US. 2006 arrest of a British NHS GP at Forest Primary Care Center in Edmonton a Dr. Murugesu Vineyagamoorthy & his wife Dr. Pushpan in New York by the FBI. Both had attempted to bribe US Justice of Dept official with $1million in exchange for removing LTTE from FBI’s list of banned terrorist organizations in the US. Dr. Murugesu was also charged with facilitating the purchase of American made missiles & British submarine technology for the LTTE. Business Risk Research Ltd paper on “the nexus between financial crime, money laundering & terrorist financing” covers the founder of Galleon Raj Rajaratnam who came under US federal probe during investigations on the Tamil Rehabilitation Organization an LTTE front organization posing as a charity. Rajaratnam was accused of earning $36m illegal profits through insider trading. According to The Financial Times, Rajaratnam had returned to Sri Lanka in 2002 and had invested $100m in Sri Lanka’s stock market. He was also under investigation in Sri Lanka for links with the Tamil Rehabilitation Organization. TRO was banned by the US in 2007 for links with the LTTE. ABC News reported that TRO had received $3.5m from Rajaratnam. There is also a civil lawsuit filed in the Brooklyn District Court, US against Rajaratnam & his father for supporting the LTTE. On Oct. 22, 2009, Motley Rice, with co-counsel Lite DePalma Greenberg, LLC, of Newark, N.J., filed thecomplaint against Rajaratnam, his father and the TRO on behalf of more than 30 victims and survivors of the terrorist group’s attacks, alleging that they knowingly provided financial and other support to the LTTE. The complaint was the result of a year-long investigation and was filed under the Alien Tort Claims Act of 1789, which grants non-U.S. citizens access to the U.S. Courts to seek justice for violations of “the law of nations,” such as crimes against humanity. Thus, on 28 April 2014, the U.S. District Judge rules civil litigation involving alleged financial support to LTTE may proceed against the Sri Lankan-born American citizen and founder of the hedge fund management firm Galleon Group, Rajakumara “Raj” Rajaratnam, and his father J.M. Rajaratnam’s alleged role in knowingly and purposefully providing millions of dollars to the Liberation Tigers of Tamil Elam (LTTE) terrorist group. Lawrence Thilakar, former leader of the LTTE International Secretariat in Paris was appointed as TRO’s Planning/Program Officer & functioned under a pseudonym Lawrence Christie. Denmark Government proscribed TRO Denmark 5 days after US ban in 2007. TRO Denmark had to close down its offices in Denmark in July 2008 after members fell dramatically making it unable to even pay rent. TRO became recognized as a legitimate NGO following the 2002 Cease Fire Agreement. UNICEF worked with TRO to carry out the Action Plan for Children Affected by War, a signed human rights agreement between the LTTE and the government to help children affected by the conflict in the North and East Sri Lanka. 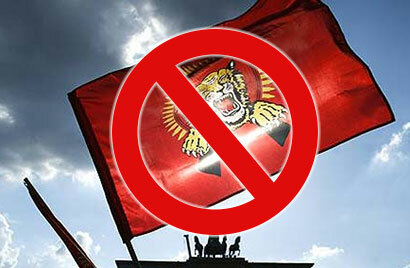 The University Teachers for Human Rights (Jaffna) has alleged that the Liberation Tigers of Tamil Eelam (LTTE) organization has faked the alleged abduction of seven Tamil Rehabilitation Organization (TRO) personnel at Welikande on the Batticaloa – Polonnaruwa border in two separate incidents on Jan 29th and 30th of 2006. Special report No 20 released on April 2nd titled “Terrorism, Counterterrorism and Challenges to Human Rights Advocacy” has cited sources close to family members of one abducted person saying that the LTTE has told them not to worry as the missing persons were safe with the LTTE. Moreover the UN Expert Panel has to be faulted for using Tamil Rehabilitation Organization as a source for the compilation of their report inspite of its ban and link to the LTTE. What is essentially clear is that the TRO and an umbrella of other Tamil Diaspora associations disguising themselves as ‘charities’ ‘NGO’ ‘human rights advocates’ had been collecting funds, providing material support and fooling scores of foreign citizens into donating funds for a ‘cause’ that was meant to keep a terrorist movement alive while they bathed in luxury living. It is time to wonder exactly how many Tamils were fooled by the Tamils themselves.